Turn heads in Mori Lee 43122! 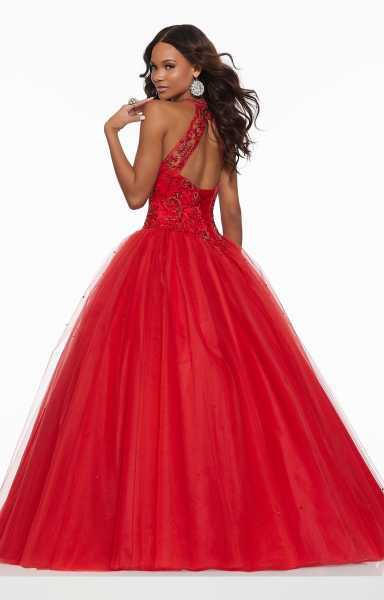 This extravagant ballgown features a high halter neckline with a sheer illusion feature. Heavy embellishments adorn the bodice and subtle shimmer throughout the layers of tulle. The corset back closure is ideal for versatility! The open keyhole back is the perfect finishing touch!